Home / Blog / Which City Has the Most Rats? Which City Has the Most Rats? Everybody loves a good list and we just found one we couldn’t ignore! 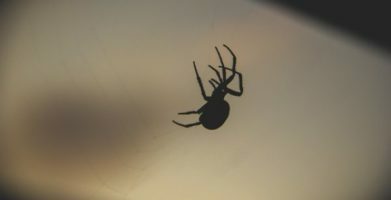 The pest control professionals at Orkin kept tabs of all the calls they received last year and tallied up the results. Then they shared the top 20 cities with the most requests for rodent control treatments. Cities are ideal stomping grounds for rats and mice since the people that live there supply a never-ending food source, largely by throwing away food scraps. Rodents are classified as commensal pests, meaning they share the same food as we do. 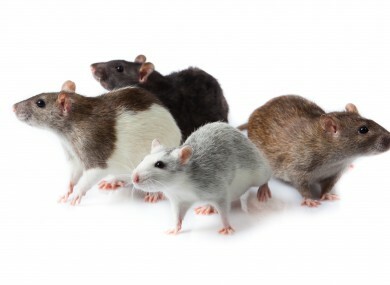 Rodent control can be especially challenging in a city because even if you have excellent habits such as cleaning up any food crumbs or spills quickly and disposing of scraps in a covered trash can, your neighbors may not. You may have heard about Conde Nast’s recent rodent problems. #RatsInVogue is not just a trending topic; there really are rats in Vogue Magazine’s offices! After moving into One World Trade Center, Conde Nast’s publication Vogue realized they were not alone in their glitzy new office. Rats had infested the building, chewing through ceiling tiles and leaving droppings all over the office! NYC was one of the top cities in Orkin’s list. Fortunately, our natural pest prevention tips are good for home AND office. The best way to control rats and mice is to prevent problems before they begin. Pest control professionals and DIY’ers alike should take steps to prevent mice or rats as part of any pest control plan. Rodents sightings happen most in the fall when the weather starts to turn cold. Rats and mice are able to enter through extremely small openings. Sealing potential entry points will not only keep rodents out, it will help keep heat in, lowering your electric bill as well. Inspect doors, windows, foundations, chimneys and dryer vents to make sure everything is in good repair with no cracks or holes. Use a wire or mesh grate to cover chimney tops and dryer vents. Fill any cracks or holes with steel wool and silicone caulk. Cleaning up rodent attractants is another important step for rodent control. Make sure food scraps are promptly disposed of in covered trash cans or compost containers. Store dry goods in chew proof, air tight containers. Instead of leaving pet food and water sitting out all the time, only put out enough for one feeding at a time and clean dishes after each use. The best defense against rodent infestation is to use a botanical rodent repellent like Stay Away® Rodent. An existing infestation can be cleared out by placing Stay Away pouches as often as one pouch per eight square feet of floor space and replacing the pouches every 30 days. To prevent rodent problems, simply place one pouch for every 125 square feet. The scent lasts up to 90 days. Check out the full story to see if your city made the list. Everybody loves a good list and we just found one we couldn't ignore! The pest control professionals at Orkin kept tabs of all the calls they received last year and tallied up the results. Then they shared the top 20 cities with the most requests for rodent control treatments. You may have heard about Conde Nast's recent rodent problems. #RatsInVogue is not just a trending topic; there really are rats in Vogue Magazine's offices! After moving into One World Trade Center, Conde Nast's publication Vogue realized they were not alone in their glitzy new office. Rats had infested the building, chewing through ceiling tiles and leaving droppings all over the office! NYC was one of the top cities in Orkin's list. Fortunately, our natural pest prevention tips are good for home AND office. The best way to control rats and mice is to prevent problems before they begin. 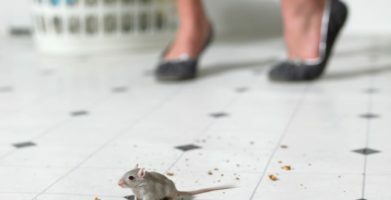 Pest control professionals and DIY'ers alike should take steps to prevent mice or rats as part of any pest control plan. Rodents sightings happen most in the fall when the weather starts to turn cold. Rats and mice are able to enter through extremely small openings. Sealing potential entry points will not only keep rodents out, it will help keep heat in, lowering your electric bill as well. Inspect doors, windows, foundations, chimneys and dryer vents to make sure everything is in good repair with no cracks or holes. Use a wire or mesh grate to cover chimney tops and dryer vents. Fill any cracks or holes with steel wool and silicone caulk. string(29) "Which City Has the Most Rats?"